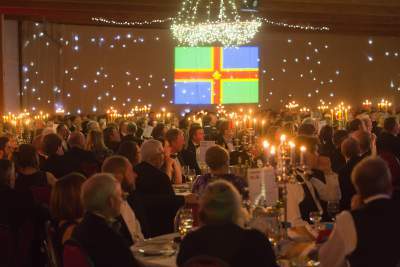 Three Lincolnshire charities will benefit from proceeds raised at the third Lincolnshire Rural Charities Dinner, on Thursday 11 April 2019 at the Epic Centre, Lincolnshire Showground. Following two very successful events in 2014 and 2016, this prestigious event will raise funds for the Jon Egging Trust, the Lincolnshire Agricultural Society and Lincolnshire Rural Support Network (LRSN). The evening will celebrate the three charities’ work to support communities throughout Lincolnshire and beyond. With a theme of “Past, Present and Future”, guests will be guaranteed a sumptuous meal of Lincolnshire produce designed and introduced by Steven Bennett, “The Lincolnshire Chef”, of Healing Manor fame. But the food is only part of the evening’s entertainment. Hosted by Sean Sparling, there’ll be fun and frivolity as well as the opportunity to find out more about the three charities’ essential work. The dinner will build on the success of their previous events, which raised tens of thousands of pounds for charitable causes in the county. Tables of 10 at £800, and individual tickets at £80 each, are available to book now, so to avoid disappointment, contact Della Armstrong, by email, della.armstrong@lrsn.co.uk, to reserve your places. Sponsorship packages are also selling fast, so if you would like to support the event, please contact Della.